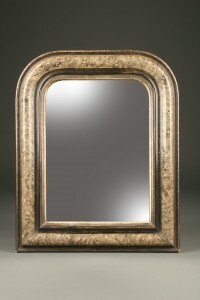 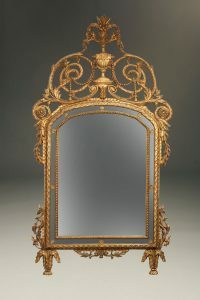 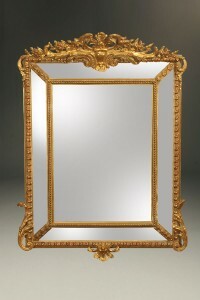 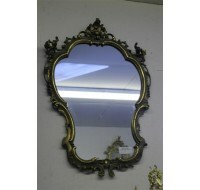 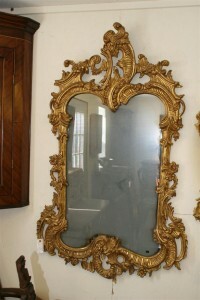 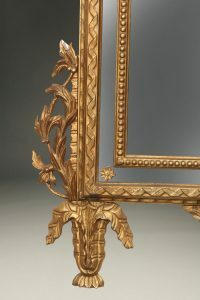 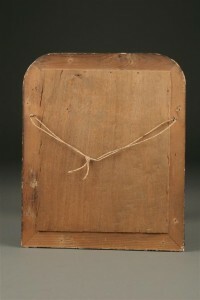 Piemonte mirror with carved gilded frame. 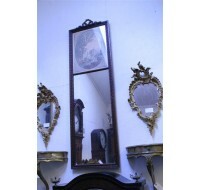 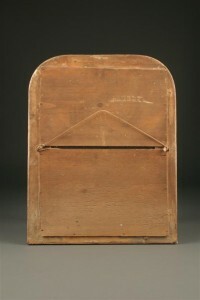 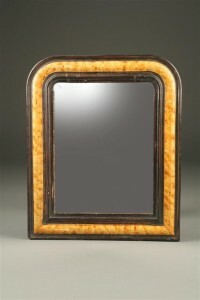 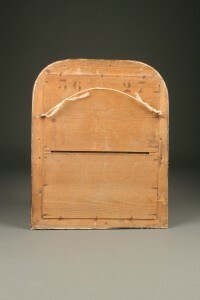 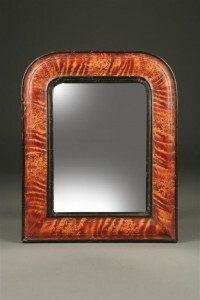 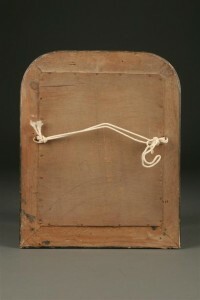 19th century Louis Phillippe period mirror. 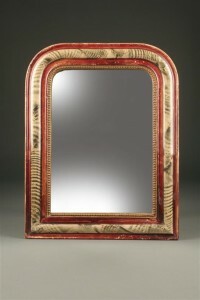 19th century French Louis Phillippe period mirror with red polychrome finish. 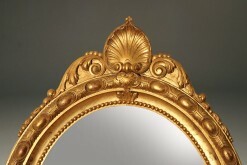 19th century Louis XV oval gilded French mirror with beveled glass. 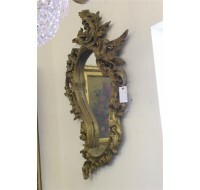 19th century Louis XVI carved French Tremeau mirror with print. 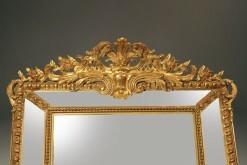 19th century French Louis XVI gilded mirror. 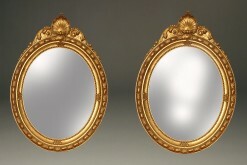 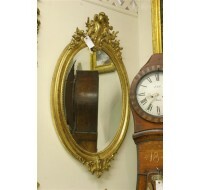 Pair of gilded frame oval mirrors.